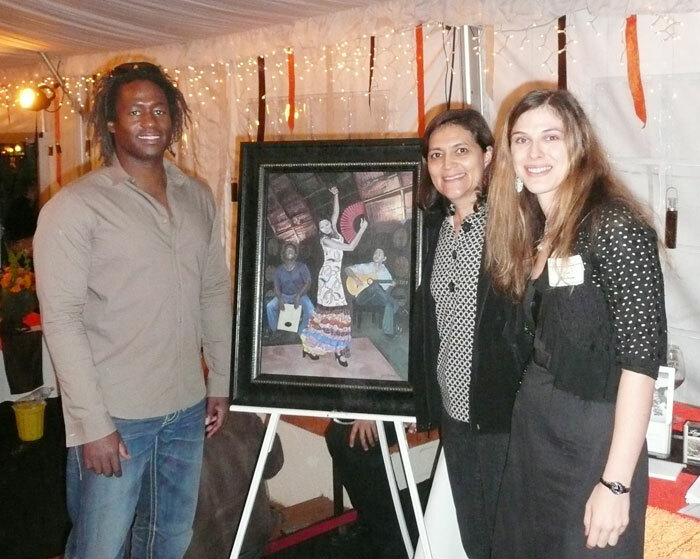 From left to right, Ishmael Amin, one of the musicians/artists who modeled for the painting at Carr Winery and Reds Tapas & Wine Bar, the painting “Sueños de Flamenco,” Francisca Escobar the silent auction winner, and myself. The event went well! People Helping People raised quite a bit of money to help farm and vineyard workers become self- sustaining. 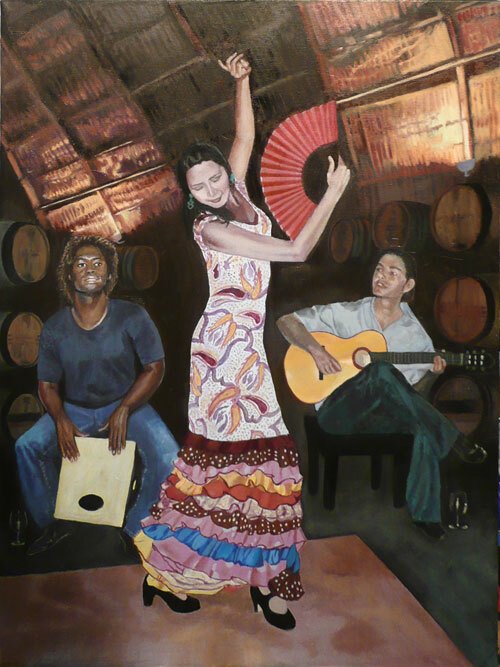 The attendance had increased significantly since the event began last year, and there was a lot of enthusiasm for the art! 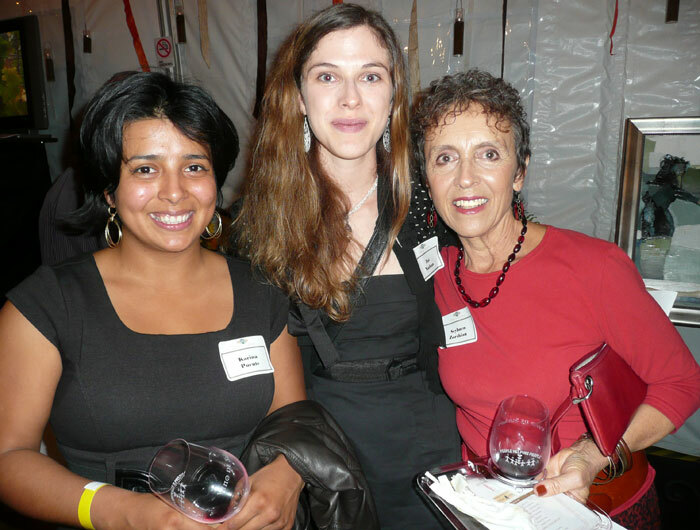 With fellow participant artist and event coordinator, Karina Puente, and artist and wine maker, Seyburn Zorthian. 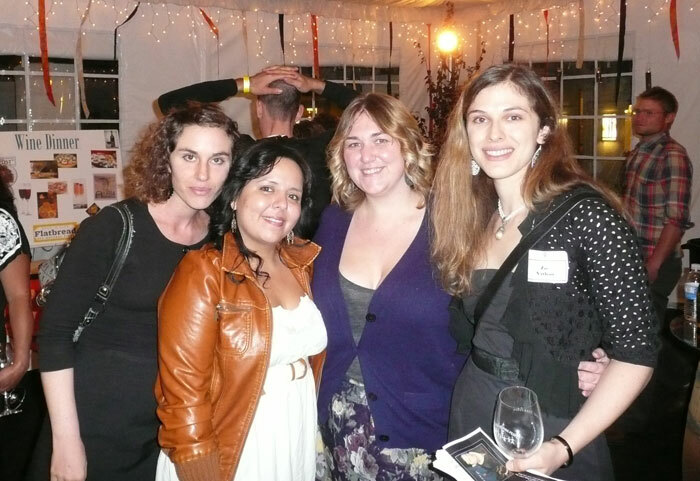 With Lily Nathan, (2008 participant), Michelle Puente, and fellow participant Kari Crist.